Saint International model Winston Lawrence is generating a buzz after making his runway debut at Milan Fashion Week. The lanky 18-year-old Port Antonia High student, whose meteoric rise from ordinary rural school teen to a hot new face in the fashion world, seemingly overnight, has been as dizzying as it is inspiring. Milan, Italy was nowhere Lawrence envisioned he could have been before he was scouted by Saint International star model Anita Moore at his school last October. 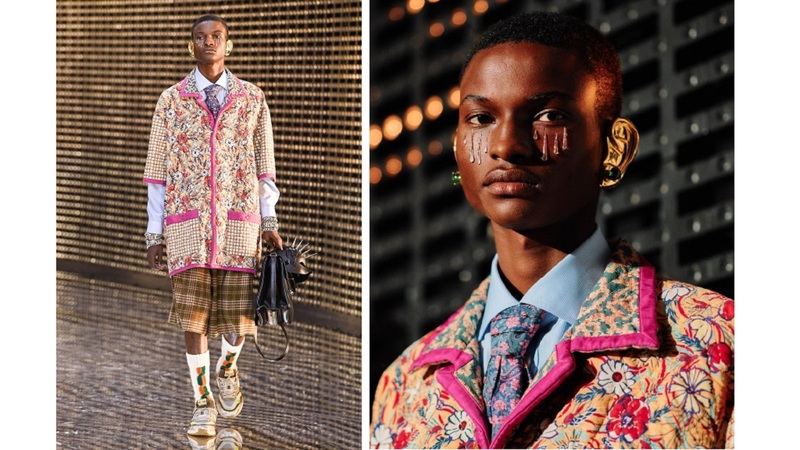 Being booked exclusively to walk for Gucci right from Jamaica on Milan Fashion Week’s opening day last Wednesday was even farther from the mind of this 18-year-old. But in the supermodel-making orbit of the Deiwght Peters-led Saint, Lawrence hit the fast lane into the glamorous global fashion industry with the most auspicious of starts. Speaking with Loop News from Milan, which marked his first plane trip outside of Jamaica, the newly minted model star is still ecstatic over making his debut on an Italian runway for one of the biggest fashion brands. “I felt amazing. 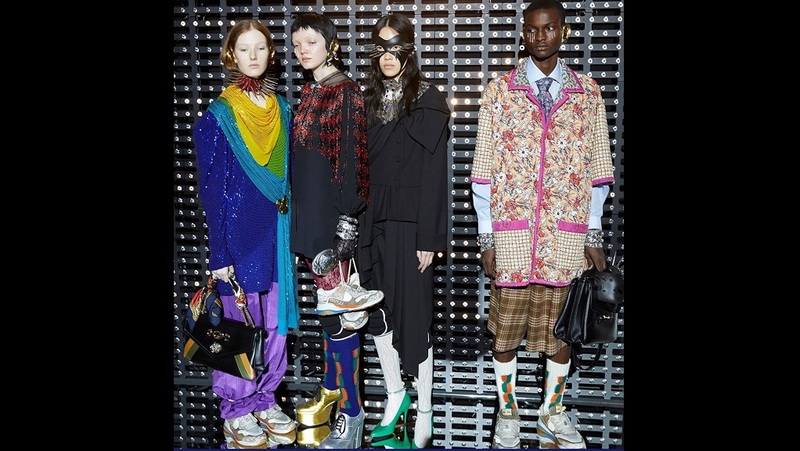 I was a bit nervous at first but I prayed, then I got so confident, I couldn’t wait to hit the runway,” Lawrence recalled of his catwalk debut where he rocked Look #37 in Gucci creative director Alessandro Michele’s 87-piece Fall/Winter 2019 collection. One of five children for his carpenter father and educator mother, Lawrence – who calls Anchovy, Portland home – is proudly a mama’s boy. “I love her so much I can’t even begin to explain, as she’s always there for me and extra supportive,” he beamed when recalling his family matriarch. Lawrence sings high praises of Saint CEO Deiwght Peters, who has a seasoned knack of creating fashion stars and now considers Peters a defacto paternal figure. “He truly is like a father and teacher rolled into one. I also think he’s a prophet because he did tell me I was a Gucci guy,” Lawrence told Loop News of their initial meeting. 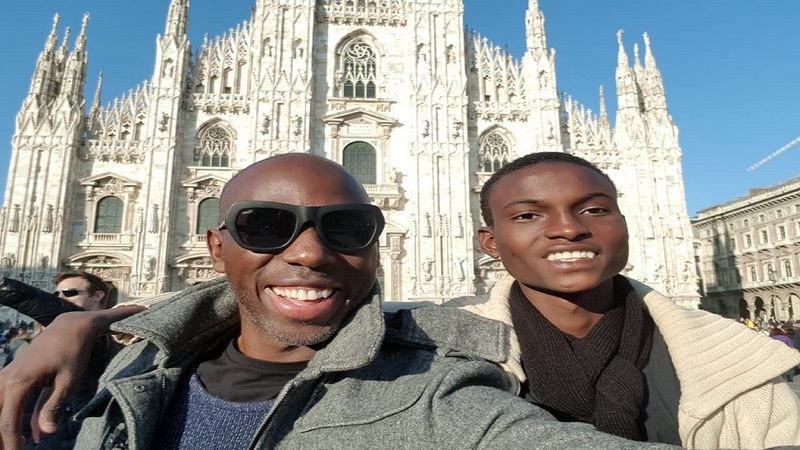 Still in Milan at the request of his agency ‘Why Not Models’, the adolescent is loving the international fashion capital city where he has made fast friends with models from Senegal, Denmark, Poland, France and Miami. “I have developed an appreciation for Italian traditions and the rich history here and I love that everyone I have met speaks more than one language,” he said. Peters expressed confidence in Lawrence’s abilities to go all the way in international fashion. “He’s not just a stunning face, but his positive attitude and eagerness to learn and soak up as much information as possible about the industry is remarkable and refreshing,” Peters said. “He can have a long career ahead of him if he maintains focus and a good work ethic,” surmised Peters, who also applauded the interest and support that is taken by Lawrence’s mom. “When I found him, his international potential was evident and so I asked his mom if he had a passport and she said no, and I instructed her to get it as quickly as possible. I didn’t tell her the surprise to come,” Peters fondly recalls. The problem of Jamaican teens without a passport is something the Saint CEO identifies as a common challenge. Notwithstanding, with interest sufficiently piqued, the Gucci team flew Peters and his new male model star to Italy for last week’s show. Lawrence’s mother, basic school educator Sophia Richards is beside herself in excitement at her son’s newfound stardom. “I’m so elated at his accomplishment and happier because he’s someone who is always pushing himself to do better,” she revealed, adding that the teenager is always quick with words of encouragement for he and is helpful. Lawrence is the latest addition to Peters’ canon of Gucci stars. Saint star Haytal Blackwood, too, was booked exclusively from Jamaica last year by The Rock’s model-maker to walk in the iconic Italian label’s Fall/Winter 2018 show and subsequently, became a Gucci girl, appearing in several global advertising campaigns and on their e-commerce platform. Saint’s Kai Newman has also appeared on the runway a number of times for Gucci.